One of the UK’s leading machine tool suppliers is benefitting from ‘girl power’ after its newest Technical Coordinator marked a major milestone. 23 year-old Chloe Reeve has just completed her 25th training course for Engineering Technology Group (ETG) clients, just four years after joining the business as an apprentice. 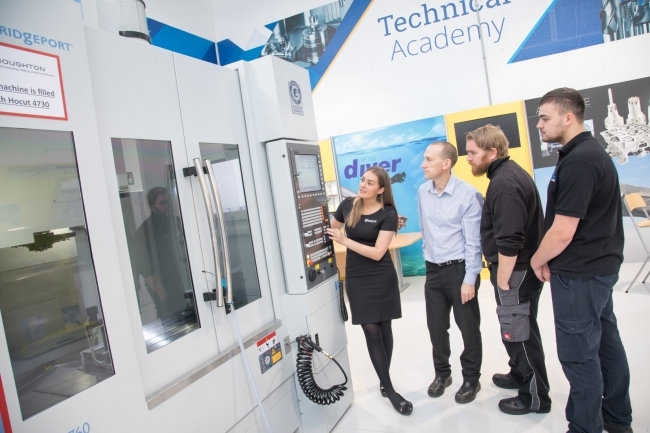 She has played a key role in the firm’s roll-out of its ambitious Technical Academy Network and her latest course involved putting three employees from specialist tool manufacturer Guhring through their paces on the new Hardinge Bridgeport XR760. The 3-axis CNC machine features a 12,000 RPM spindle and state-of-the-art Heidenhain 530 control interface, making it ideal for high precision work for the automotive and aerospace sectors. She continued: “This means I can give our clients detailed programming courses on the majority of the machines we supply and the response has been positive with lots of good reviews and feedback. 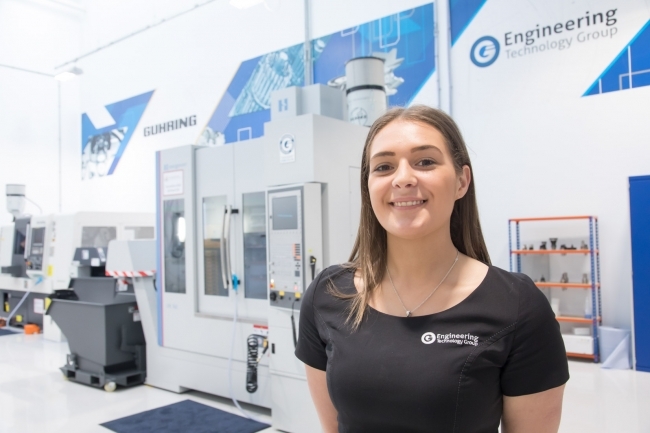 ETG, which employs 100 people at its headquarters in Wellesbourne, is passionate about investing in developing the engineers of the future and helping industry bridge the skills gap. The company has launched its Technical Academy Network earlier this year at a high-profile event at Norton Motorcycles in the East Midlands and – alongside In-Comm Training and a host of technical partners – is in the process of creating another 14 centres. Each location will be equipped with world leading CNC machine tools, precision technology, automation and the latest software, creating advanced manufacturing cells capable of training young people, existing workers and supporting SMEs with production issues. Agreements are already in place with Guhring in Birmingham, the Marches Centre of Manufacturing & Technology (MCMT) in Bridgnorth and other facilities in Aldridge, Shrewsbury, Warwickshire, Tayside in Scotland and in Ireland. Negotiations are currently underway with additional partners in Lincolnshire, Northern Ireland, the North East, the South East, the South West and in the Thames Valley. Steve Smith, Technical Academies Manager, added: “We are also using the Academies to host special Technology Days, where we can showcase the latest machines, tooling and CAD/CAM software programming from technical partner Mastercam.